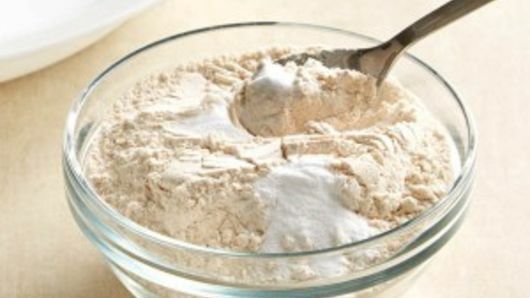 In small bowl, stir together flour, baking soda and baking powder. In large bowl, beat softened butter, cane sugar and salt with electric mixer on medium speed until light and fluffy. Add egg and vanilla; beat until smooth. Add half of the flour mixture to the butter mixture; beat on low speed until blended. Add half of the sour cream to the butter mixture; beat on low speed until blended. Repeat with remaining flour mixture and sour cream. Spread evenly in pie plate. 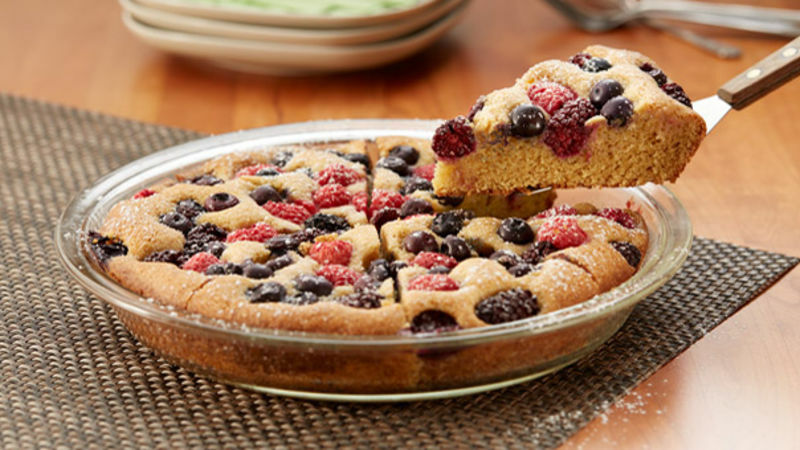 Place berries on top of batter in single layer. Bake 35 to 40 minutes or until toothpick inserted in center comes out clean. Cool 15 minutes. Sprinkle with powdered sugar; serve with whipped cream. 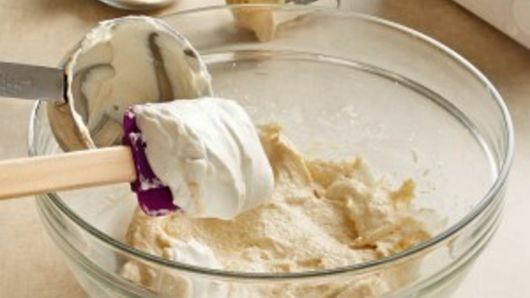 To make 1 1/2 cups whipped cream, place medium deep bowl and beaters in freezer or refrigerator to chill. Place 3/4 cup heavy whipping cream and 1 tablespoon powdered sugar in bowl. 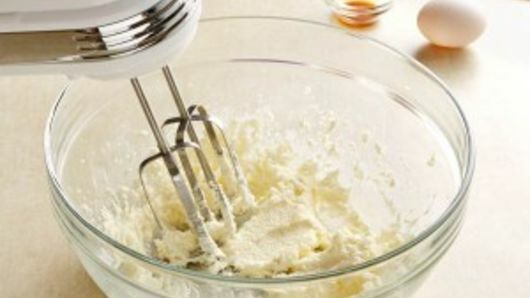 Beat on low speed until mixture begins to thicken, then beat on high speed until whipped cream forms soft peaks. 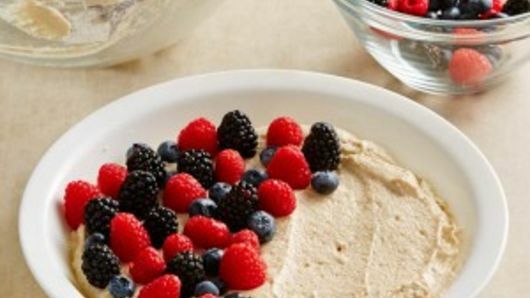 If you just want to use one fruit, use 1 1/2 cups fresh raspberries.